It isn’t anything new to find out that some people travel just to be things that you cannot see anywhere else. People journey through hundreds and thousands of miles just to get a glimpse of jaw-dropping infrastructures like the Golden Gate Bridge, which is an iconic bridge found in San Francisco, or the Burj Khalifa, which is the building that holds the world record for being the tallest building standing on Earth at the moment. Japan is known for many things and among these special attractions is a structure that draws people in because of the same reason people go to the places mentioned above. This is none other than the Rainbow Bridge of Japan that is located in Minato, Tokyo. For starters, the real name of the bridge isn’t really “Rainbow Bridge”. It is officially known as the “Tokyo Wan Renraku-Kyo” which translates to “Tokyo Connector Bridge” or the “Tokyo Bay Connector Bridge”. You may begin to think that the people gave this bridge its alternative name because of the simplicity of the official one but it was actually given that name because of what this bridge does. The towers that support this bridge, which is painted white because it was thought to bring out the skyline of central Tokyo more this way, has lamps spread out evenly throughout the length of the bridge. These lights artistically illuminate the bridge during the night using only the solar energy it was able to gather during the day. This colorful nightly showcase is the real reason why this bridge is known by such a name. Design-wise, it is the same as any other suspension bridge you can find. It stands over the northern Bay of Tokyo and it provides the connection between the waterfront development found in Odaiba and Shibaura Pier. Its construction started in the year of 1987 and completed in the year of 1993 by the company called “Kawasaki Heavy Industries”. This company may be more recognizable to you or sound familiar to you because of their role as a world-class manufacturer of ships, motorcycles, and other specialized equipment. In its current state, it doesn’t hold any world records for length but it is still a considerably massive bridge because it runs the length of 798 meters or 2618 ft with a main span of 580 meters or 1903 ft. This bridge is certainly a nice one to drive through again and again because of the beautiful scenery of Tokyo’s waterfront that you can enjoy along the way. Aside from the enjoyable trip that it provides motorists and vehicles, this bridge also serves other modes of transport that are vital in Tokyo. The upper deck of this bridge is where you can find the Shuto Expressway’s No. 11 Daiba Route, which is where the vehicles can pass. The lower deck, on the other hand, is where you can find the “Yurikamome”, or the Tokyo Waterfront New Transit Waterfront Line that is placed in between walkways that also make the bridge accessible on foot. Since there is a distance of 1.7 kilometers from the Odaiba gate to the Shibaura gate, walking the bridge usually takes a person about 25 minutes to 30 minutes to cross. This was never an issue for anyone though because there are benches situated evenly throughout the length of the walkway as well so you can easily stop for a quick rest if you feel like it. Bridges are intended to take people to different places and the places that you can reach when heading to the Rainbow Bridge are definitely part of the hype and attractiveness of this place. The attractions found around the area are very diverse so you can really mix it up if you want to. There are theme parks, museums, gardens, and even complexes that you can visit to find out what the real Odaiba entertainment is like and starting off with a place like the Tokyo Joypolis should definitely be something you consider when planning your trip to this place. 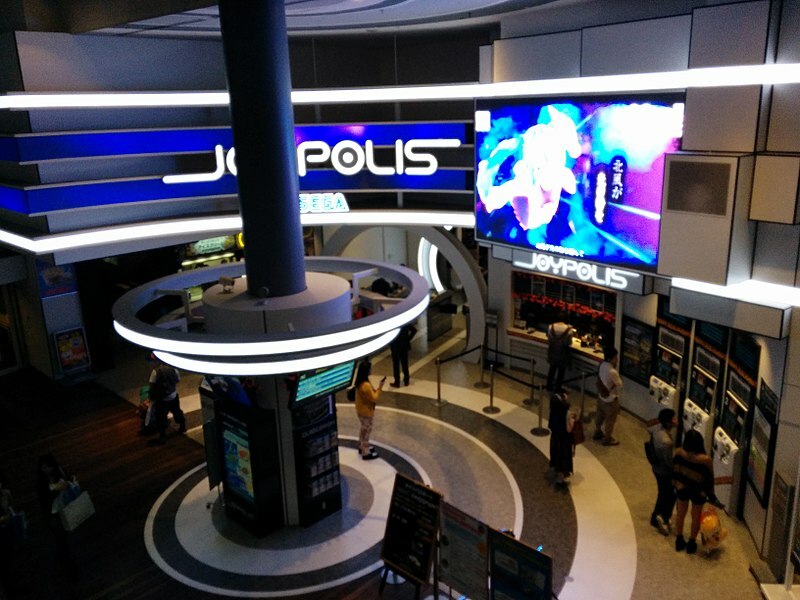 The Tokyo Joypolis is an establishment that has been tried and tested through many years. In the year of 2016, this indoor theme park actually celebrated its 20th anniversary so you can already kind of tell that it has become an iconic theme park for this area. Do not let its age fool you though because the rides and entertainment to be found in this place are far from outdated. They have rides like the Gekion Live Coaster which is famous because it is the world’s first ride that is part music game and part roller coaster. They also have attractions that make use of the latest technology that can be enjoyed via VR or “Virtual Reality”. Naturally, this VR ride would be a horror-themed experience called “Room of Living Dolls” because it is the best way to get their customers’ blood flowing for the rest of their great attractions. If all that wasn’t enough, you will be glad to know that there is also a “Dippin Dots Ice Cream” store here that it is one of a kind because it is the only place that you can try exclusive flavors that are available nowhere else but here. For those who are looking for a more outdoor location to chill at in the Rainbow Bridge area, you can also go to Palette Town. This attraction found a way to integrate an amusement park and a mall in a smooth design that makes it a hotspot for all the tourists. The first thing you will probably learn about this place is that it is the home of one of the biggest Ferris wheels in the entire world. The diameter of the Ferris wheel is an astounding 100 meters and stands at a height of 115 meters. Being that high up in the sky does have its perks and one of the most talked about perks is that you can look at the sea and at the skyscrapers of Tokyo while riding it. In addition to that view, you also have a panoramic view that spans from the coast of Haneda to the Peninsula called Boso Hanto. There is no other place in the world where you can get views like that all in one place. Aside from the unique and magnificent views to be enjoyed here, this complex also has a part that is considered to be a women’s theme park because the items found here revolve around fashion, beauty, and all the other things that come along with these two. It is called the “Venus Fort” and there could not have been a more fitting name to a place like this that is seemingly a women’s paradise. For the kids, some places they might be interested in seeing are the amusement arcades, Toyota Motor’s “Mega Web” and a place called “Tokyo Leisure Land”. The amusement arcades found here are of great quality but it might be the latter two attractions that catch your eye more. The “Mega Web” is a showroom made by Toyota wherein you can experiences races and all kinds of new racing technologies. Technology is a huge deal in Japan so it makes sense to have such a scientific attraction in a complex such as this. Last, but definitely not the least, is the Tokyo Leisure Land. This place is filled with Karaoke shops that you, friends, and family can use to bond as you share music and laughter with one another. There are also pool halls that can be used here for those who are looking for a quick exercise or an unwinding dip after going through the other attractions in this massive complex. If you’re craving for a place near the bridge with a simpler beauty, the Odaiba Seaside Park would be the no-brainer solution to this longing. This place is a man-made waterfront that was intended to be a space for leisure activities like boardsailing or paddling. If you watch a lot of movies, a great comparison to this place would be the parks in movies where the people paddle through the lake or pond on a swan or something like that. What’s different about this place is that it also has historical significance. This is so because walking along the beach will take you to the Daiba Park. This park still has traces of the Edo Period and herein lies its historical value. In addition to this, the seaside park is also where you can find the Shiokaze Park that is famous for its incredible fountain that is a great sight to see on a long relaxing afternoon walk. There are a lot of other places you can go to around this area and which ones you chose to go to will be completely dependent on your preference. With this said, the best way to plan which places to go to is to research places in the area that are connected or related to any of your interests. The interests of individuals naturally vary from person to person but if there is one thing that can be considered as an interest to anybody, it has to be the interest to find a good place to stay in and rest. There are a lot of hotels that you can choose from in this area since it is Tokyo but there are only 2 hotels that are at most only 1.4 kilometers away from the Rainbow Bridge. The first and closest one is the Hilton Tokyo Odaiba. It is approximately 1.2 kilometers away from the Rainbow Bridge which means that a high enough room in this hotel may give you the view of the Rainbow Bridge in the shine of the sun and the colors of the night. A night over at this hotel would cost you $176. Considering that you are in Tokyo and the kind of view you get from staying in this establishment, this price is already a deal. If it isn’t your taste, don’t worry about it because the other two closest ones are not too shabby as well. 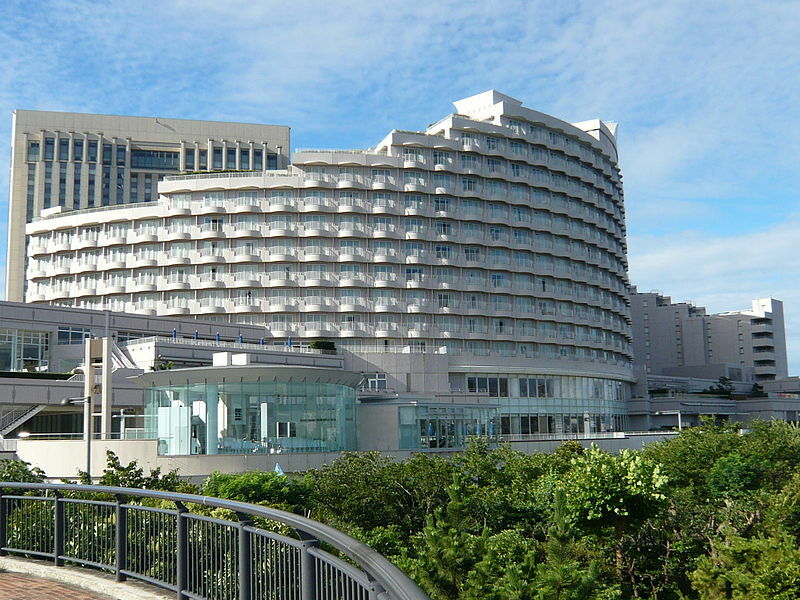 Hotel # 2 is a hotel that is called the Grand Nikko Tokyo Daiba and it is 1.4 kilometers away from the bridge. Its location also makes it possible for its customers to enjoy the same glorious view as the one in the Hilton but only if you get a high room as well. A night over at this hotel will most probably cost you $154 which is cheaper than the Hilton but you are farther from the bridge by a bit so it is an understandable price adjustment. If the location of your accommodation on the map doesn’t matter to you, then you shouldn’t have any problem finding a temporary home for yourself and your travel buddies in this area. The hotel, much like the other attractions you might want to see here, can easily be the “right one” or the “perfect one” for you. All you have to do to ensure it is to prepare everything beforehand so that you are all booked and stress-free from the get-go. If you start your trip the right way, there is no way that it won’t be one worth remembering for the rest of your life.